Involvement of rulers in the administration would create all kinds of problems. They may be sued. That may compromise their positions. ENGLAND took hundreds of years to make her king a constitutional monarchy. The system developed to what it is today in the 18th and 19th centuries when daily powers of government were exercised by the cabinet and Parliament elected by the people through elections. Under the system, the king acts as a head of state, free from politics and in accordance with what is provided for by the Constitution. Apart from being a symbol of national unity, the king holds some power such as to dissolve Parliament, to appoint the prime minister and to assent to bills passed by Parliament. However, the exercise of these powers is subject to convention while others are a formality. The British political theorist Walter Bagehot in his book The English Constitution identified three main political rights which a constitutional monarch could freely exercise: the right to be consulted, the right to advise, and the right to warn. When Malaya gained independence in 1957, through the Reid Commission whose members were common law judges, Malaya chose a constitutional monarchy system. That was a wise decision. It was accepted by the people and the rulers (I am using the term ruler(s) when referring to Malaysia). It became a contract between the rulers and the people. The people agreed to accept the rulers as their constitutional monarchs, who would exercise their powers as provided by the Constitution. The rulers also agreed with these conditions. The model is the United Kingdom model. Thus, in interpreting the provisions of the Constitution, we also need to understand the background and the conventions. For example, the Constitution may use the word "advice" such as "on the advice of the minister". By convention, the king is required to follow the advice. 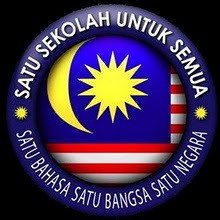 As a result of two "constitutional crises" during the period when Tun Dr Mahathir Mohamad was prime minister, two amendments were made to the Federal Constitution which, I believe, could be the first of their kind in the world. FIRST, the provision that the ruler must sign a bill passed by Parliament within 30 days, otherwise, it will automatically become law. (Article 66 (4A). SECOND, the establishment of the special court. Originally, like the king of England, the rulers in Malaysia were above the law. They could not be sued or prosecuted. But, when a ruler assaults and hurts someone, when rulers begin to get involved in business and incur large amounts of debts, then remedies have to be given to the other party. Otherwise, it is not fair. The Constitution was amended to establish the Special Court. (Article 182). As chief justice, I had presided the first case involving a ruler that went through a full trial, from the beginning till judgment. (See the first judgment on my website www.tunabdulhamid.my). In that case, the former ruler of Malaysia and a reigning ruler of a state at that time, was ordered by the court to pay US$1 million (RM3.2 million) to a bank. The ruler complied with the order and paid the sum. That is an example of what Malaysia should be about. 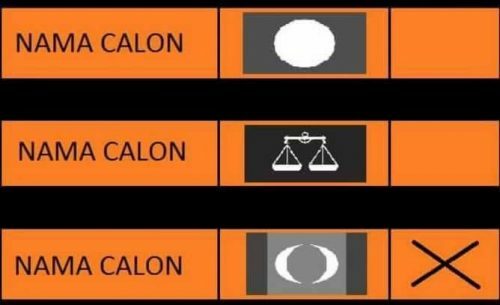 The case is the best illustration of the independence of the judiciary and the rule of law in Malaysia. In the last 56 years, apart from two "crises", the system had worked well. Malaysia should be proud of it. However, sometimes, there is a misunderstanding about the role of the ruler. In one case in the Syariah Court in a state in Peninsular Malaysia, the judge referred the issue of apostasy to be decided by the sultan. That was a mistake. No one other than the court's judges (including the judge himself) has jurisdiction to decide the issue. The sultan is a constitutional monarch and should not be equated with caliph or a sultan in the past. Judicial power has been given to the Syariah Court. That should be understood. Other than that, there are times when we hear groups calling for a matter to be referred to the Conference of Rulers or who try to seek the intervention of the Conference of Rulers in a matter. I think this is also incorrect. They should not try to involve the Conference of Rulers and the Conference of Rulers should not get involved in such matters. It is different where the Constitution provides for the consent of the Conference of Rulers for an amendment. According to news reports, a bill will be tabled in the Johor state assembly to set up the Johor Housing and Property Board. It is interesting to note that the bill contains provisions to give administrative powers to the sultan of Johor. The sultan will be given the power to oversee the accounts of the board, dismiss and appoint a new board, determine the amount of their remuneration and allowances and "to appoint a director who could be chosen as chief executive" of the board. I do not want to comment on the proposal in detail because I have not seen the bill. But even what is mentioned in the newspaper is disturbing enough. Are we moving away from constitutional monarchy and heading for absolute monarchy as in Brunei or heading towards anarchy? We have nine rulers. Which direction are we going? I am concerned that the officers of the board will only be "yes men" for fear of being dismissed. They will not be able to make decisions in a professional manner. The bill must not violate the Federal Constitution and the state constitutions. The concept of constitutional monarchy must be upheld. What I have mentioned so far is based on the assumption that the ruler is honest, that there is no abuse of power, embezzlement, corruption, self-interest and so on, and also that there is no party behind the ruler who uses the ruler's position to make profit. Otherwise, I fear that the contract between the people and the rulers mentioned at the beginning of this article will fall apart. This comment piece was written before the Johor Menteri besar’s announcement yesterday on revisions to the bill. KUALA LUMPUR: THE proposed amendments to the Johor Housing and Property Board Bill 2014 to replace the word "ruler" with "state authority" in all but one clause will not make any difference in terms of upholding the doctrine of separation of powers between the monarch and the executive. Former Malaysian Syariah Lawyers' Association president Datuk Mohamad Burok said even by limiting the powers of the Johor ruler to only appointing members of the board on the advice of the menteri besar, the monarch was still involved in executive duties. "What difference will it make? There is no clear separation of powers if you still have the Sultan of Johor involved in appointing members to the board, even if he is to be advised by the Menteri Besar on the matter. Such appointments should be made by the executive and not the ruler. "By logic, the sultan is still there to make decisions. That is wrong," he said yesterday. Mohamad said while the amendment clearly did not absolve the bill from contravening the Federal Constitution, one must realise the importance of establishing a separation of powers. "What is happening in Johor is a bad precedent and has never taken place anywhere else. "I just want to know whose idea it was (to involve the sultan in executive duties)? "In a democratic country, the separation of powers brings forth check and balances. But what is happening now is a transgression of the Constitution." Another law expert, Universiti Malaya's Professor Gurdial Singh Nijar, said the Federal Constitution stated unequivocally that the ruler, in exercising his functions under the constitution of a state, must act in accordance with the advice of the state executive councillor. "He (the ruler) is allowed to function in his absolute discretion only in a very limited number of situations, such as head of the Islamic religion or matters relating to Malay customs and in the choice of menteri besar, which is limited, in turn, by constitutional conventions. "Of course, he is entitled to 'any information concerning the government of the state which is available to the executive council'. But no more than that." However, constitutional expert Datuk Mohd Hafarizam Harun said if the amendments were kept in line with the spirit of constitutional monarchy, then it was within the permitted laws. "If the Menteri Besar advises the names to be included on the board, the sultan must make the necessary appointments. It is not the other way around. "Honestly, it should model other states' enactment to the fullest, but not mere cosmetic changes (as lip service)." Niat Murni Lembaga Perumahan Dan Hartanah Johor tidak langsung kami pertikaikan, yang kami tak selesa adalah struktur pengurusan Lembaga tersebut sahja. I personally believe that the Bill should have been thoroughly vetted by the State Legal Advisor together with the Office of our Peguam Negara and let them, and NOT the Menteri Besar announce whether it is clearly a Separation of Powers done deal. Lets see how this #LPHJ issue will end.